At Frontline Lawn & Landscapes Inc., we believe in treating customers the way we'd like to be treated ourselves! We don't try to up sell more lawn applications than is really need, and we won't lock customers into a contract that they can't get out of. 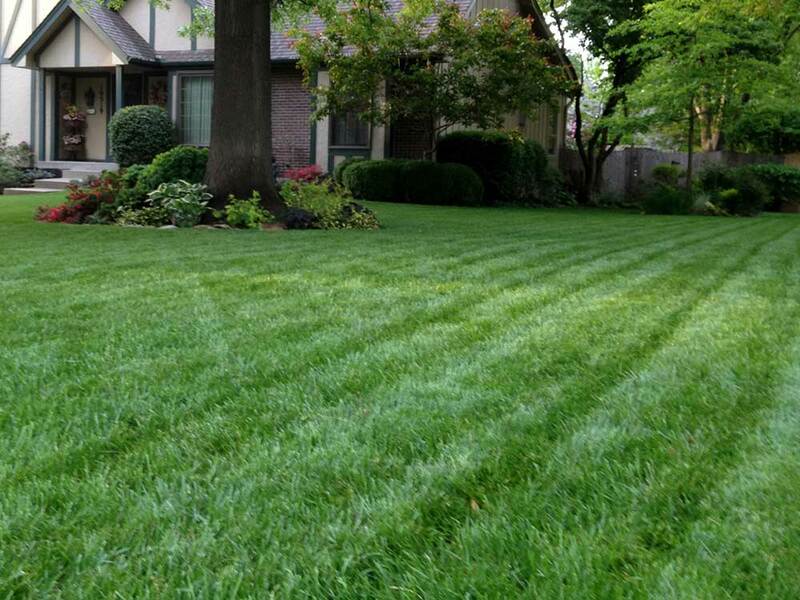 Our lawn treatment programs are designed to promote a healthy and attractive lawn. 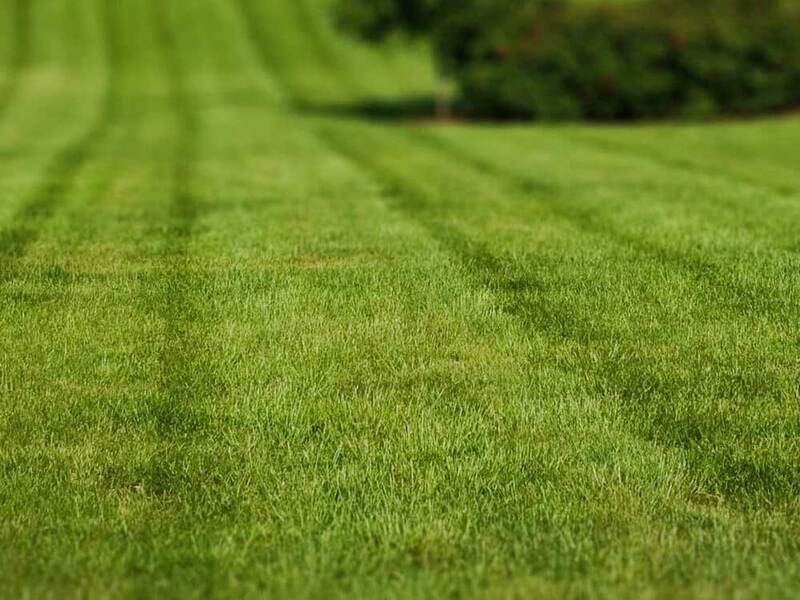 To accomplish this, we use the recommendations of the Iowa State University Extension Office and the Iowa Professional Lawn Care Association. Their decades of turf grass testing and research provides an excellent unbiased source of turf grass information specific to our area. 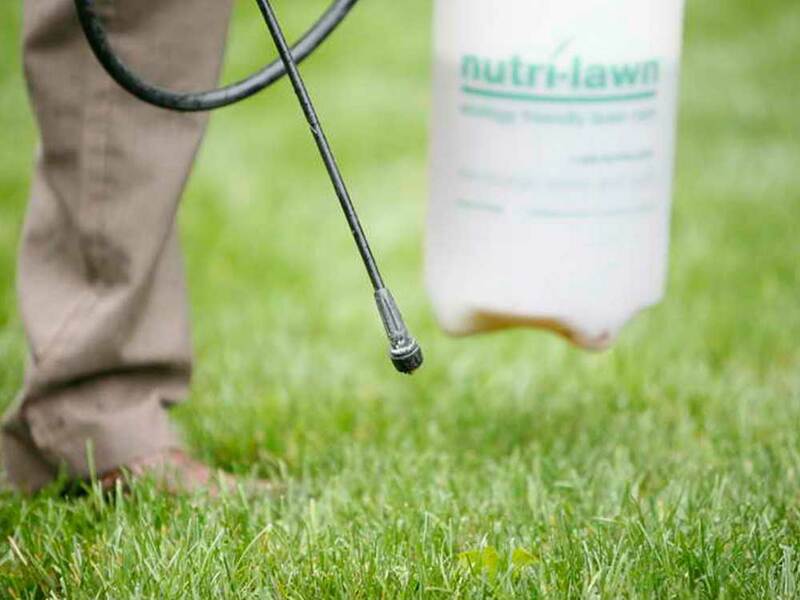 Let's get your lawn treatment underway! Early Spring - Application of a pre-emergent herbicide for crabgrass and annual broadleaf weeds. Granular fertilizer applied to feed the root zone to establish a healthier plant. Spring - Blanket spray of fertilizer with post-emergent herbicide to control broadleaf weeds. Summer - Granular fertilizer with a higher concentration of (K) Potassium for drought stress. Broadleaf weed control applied if needed. Fall - Blanket spray of fertilizer with post-emergent herbicide to control broadleaf weeds. Winterizer - Granular fertilizer high in (N) Nitrogen for the plant to store over the winter and help get a greener lawn in the spring. Also encourages succulent growth before going dormant which will in turn help reduce the possibility of snow molds in the spring. 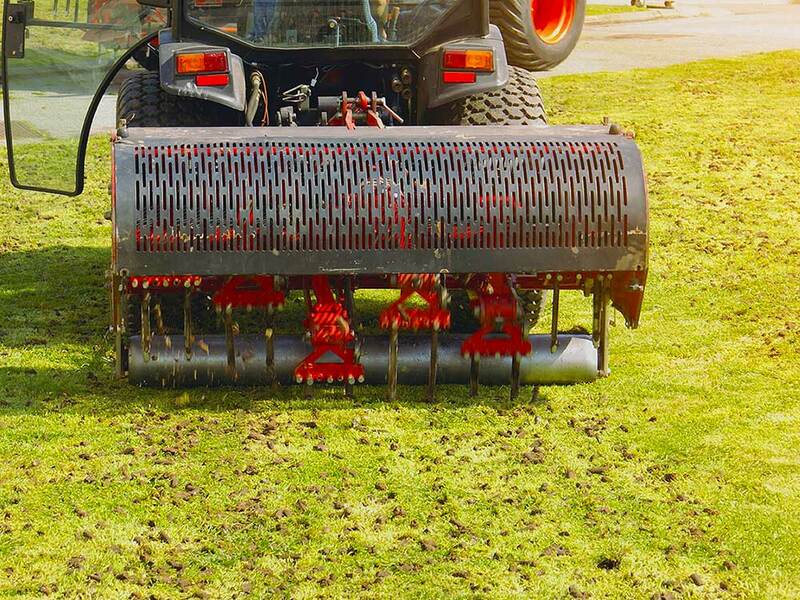 We apply a blend of granular and liquid applications for best results. Most homeowners programs use only granular treatments. This is OK for fertilizing, but liquid applications are more effective for weed control. Our program includes a combination of granular and liquid applications. Post-emergent Weed control is always applied as a liquid. 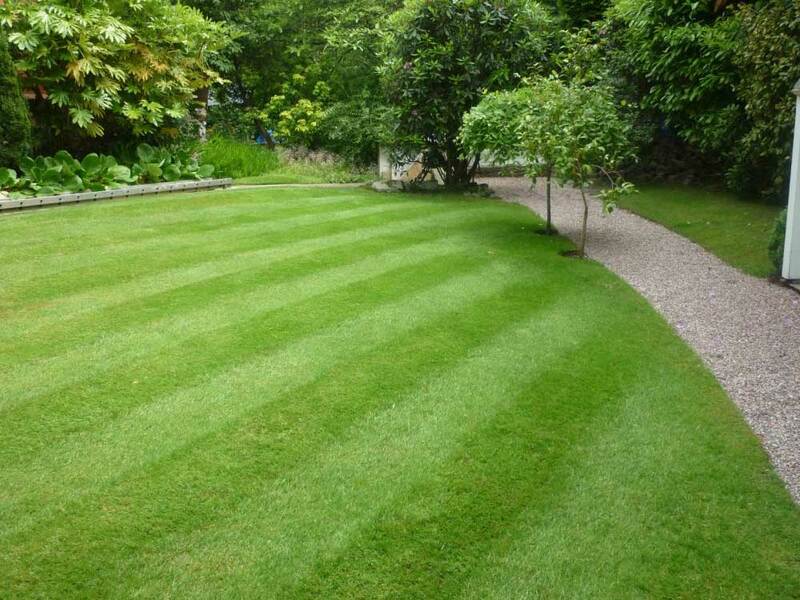 We know what to apply, when to apply it, and how much to apply for the maximum benefit to your lawn. Many homeowners are well intended by doing it themselves, but they get busy, and forget to make the application at the appropriate time, or they have to guess at what to use and how much to put down. 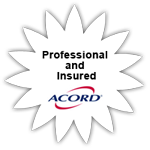 Since we purchase materials in bulk, we are able to offer this service at an affordable price. 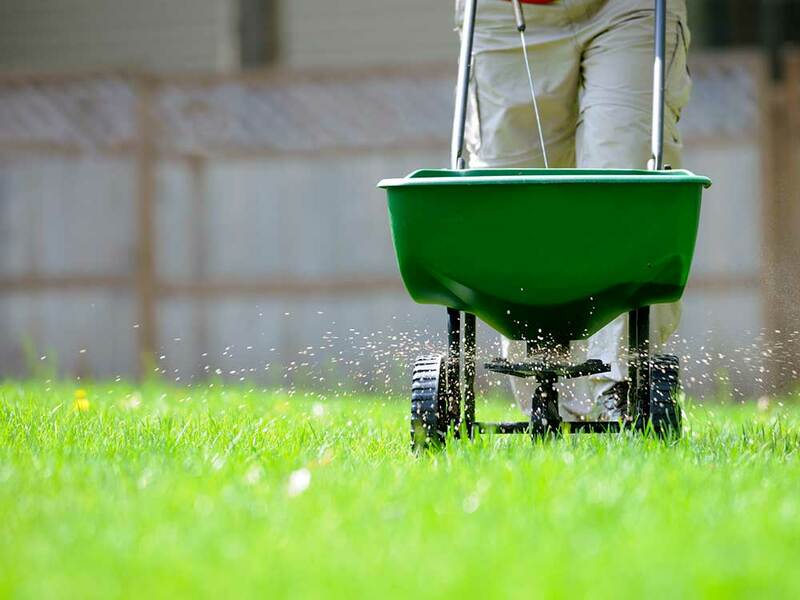 When you add in your gas, your time, the necessity of purchasing and maintaining a spreader and/or sprayer, you can quickly see the benefit of having Frontline Lawn & Landscapes, Inc. take care of your lawn. Once again I would like to commend you on the stone patio that you built for me in my back yard. We couldn't be happier with how it turned out. I can't wait until the weather gets nice again so we can get back outside and enjoy it. I definitely will be getting a hold of you this spring so we can discuss our next project. We are looking forward to working with you and Frontline again soon. Thanks again for everything.